For the first time in its history, the Boise Police Department has a board of citizens offering advice. While not an official “Police Commission,” Top Copper Bill Bones has called upon a dozen citizens of diverse backgrounds to form a “Community Advisory Panel” (CAP) so the department can have a better communication with the citizens. The Panel serves as a resource for the Chief in the formation of strategies, development of community policing concepts, improvement of public services, and building public trust. BPD received almost one hundred nominations from people willing to offer their time to help better serve the citizens of Boise. During the panel selection process, they recognized three areas which would require additional focus. Members of three additional subpanels will be called upon to provide feedback and guidance on examining diversity in Boise, assisting those with mental illness and those experiencing homelessness. The GUARDIAN offers a heartfelt “thanks” for the gesture. We have advocated a citizen’s panel for 25 years and no prior chief, mayor or city council would provide the citizen voice which is standard for airport, parks, library, public works, zoning, and other city boards or commissions. The BPD is the biggest department in the city with an annual budget of $63 million with 309 sworn police officers and a civilian support staff of about 100. It is also the biggest police department in Idaho except for the Idaho State Police. I applied and wasn’t chosen. Not a member of these community groups, just a regular citizen. I understand politics. Sub-panels? How will persons be solicited? EDITOR NOTE–Bones told me the sub panelists have particular expertise in specific areas. Yep, I see a bunch of activists and promoters and such on there. All part of the happy insider club. Not a single ordinary Joe. Kinda blows. No teeth either. Wow, just WOW! A entire committee of who’s a who in the community who will rubber stamp the Chief’s policies and not listen to any input from regular citizen’s like Western Guy. When was the last time any of these committee members had to call upon the police for 9-1-1 services. Dr. Willie Baber lives in Florida, which is a long ways from Boise. So much for community. Andy Scoggins must not work much at Albertsons. 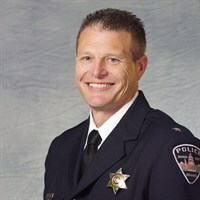 As a member of the Idaho State Board of Education, his LDS church job, and now the police board they must not need him much at Albertsons or it is just that the Albertsons execs really don’t work much…..for Albertsons. Police are not social workers. Police are not mental health workers. Police are enforcers and there to protect us from criminals. To arrest them and send them to the courts. People die whenever politics interferes with how police do their job. Boise’s traffic fatalities have nearly doubled since Bieter forced out the last chief who insisted on enforcing laws. Every intersection now has red light runners, every artery has aggressive drivers cutting others off and hopping lanes, every street has people texting and distracted. THAT is what more “civilian oversite” has given us – the opposite of “for the public good”. Twisted by local politicos for their own agenda and ignoring the safety of their own citizens. I also applied. I currently work in the court system and I have 15 years experience working with disadvantaged and incarcerated youth. I agree that they went with insiders and those with some political affiliations. If they were serious about this, they would have put some “Regular Joe’s” on the committee. Still, I wish them luck. Are you folks aware that 30% of the TOTAL Boise budget goes to the police department. Considering this and the gigantic powers of the police to screw up someones life without repercussion, why are we suppose to be jumping for joy at having a hand picked powerless advisory board? Do you mean the one in Mecca? Guardian, I’m pretty sure that is not what is it says on his resume. I’m sure if you wrote “the church on Cole Rd” some readers would object. Being non-PC is one thing, being inaccurate is another. Shoogi and the others nailed it. People in disagreement with BPD tactics need not apply. Carolyn Holly? C’mon. She is a wonderful grandma and has NEVER had an encounter with police. Even if 6 BPD arrive to give grandma a driving ticket, she wouldn’t mention it to recommend different tactics. All of these “types” of people could voice their concerns and accolades directly to BPD and they would be welcomed. Treefort organizers will say”The permitting could be easier”… she could do that in email and it would be accepted. Jose the cafe owner could say the same thing in an email and it would be ignored. It’s like all the men in a company getting together to discuss the issues of female employees. My observation of BPD on our streets is that they’re deciders not enforcers! Officer Burch informed me that BPD sends 10 officers out to enforce the rules of the road with 309 sworn officers on the force? Then we hear how grant monies will provide enforcement of our roads? One just closing this last week! Notice safer roads? At the risk of sounding like a petty officer, BPD doesn’t even enforce proper display of license plates! We need to find out where the BPD is LEADING us. I also applied. I guess my 25 years in public safety is less desirable than a grocery man…. Of all the applicants they could have chosen from, they have no experts in drug abuse, domestic abuse, child abuse, or technology. They have a pr person to write their press releases, and that is all I see. I hope they don’t intend to pray the communities obvious problems away. Sub-committees – this is a time waster. I’ll give them three chances to effect the community positively regarding lawlessness and crime, and then they will have provided some service or not. First question to police chief and new oversight fan-club. Why does City of Boise and Police Department allow 1 in 6 cars to not have legal insurance coverage? I’ve had a problem with this two times while my car was parked and losers ran into it. Even the courts are letting it slide. WTF!! !